The vivid cover artwork was the eerie brainchild of Tomislav Tikulin, a Croatian digital illustrator whose creations have been featured on numerous magazines and novels. It’s humbling to be in such good company with writers like Ramsey Campbell, Rick Kleffel (The Agony Column), and Michael Kelly (editor, Shadows and Tall Trees). 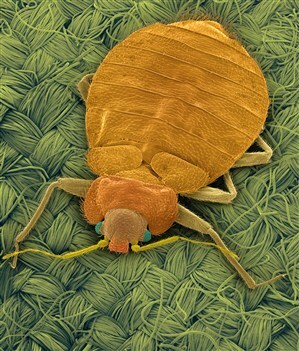 “Don’t Let the Bedbugs Bite” was a short story whose nascent draft was something I concocted back in 2006. I’ve been searching for a home (haunted or otherwise) for this story for a few years now, and I’m honored to have found that home alongside my fellow contributors in the BFS Journal. 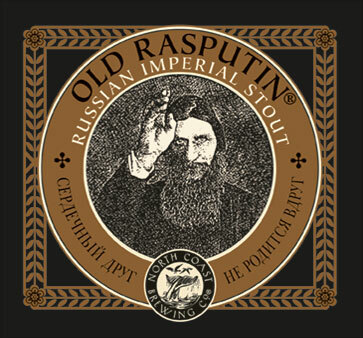 Nearly four years ago, while visiting my younger brother in Florida, I stumbled across a deliciously sinister beer from North Coast Brewing Company: Old Rasputin Russian Imperial Stout. Upon the conclusion of that particular trip, a single bottle managed to survive, which (keep your pants on, TSA) I tidily smuggled home as a souvenir. That bottle has since remained in the back of my fridge. At some point in the past year or so, I made the private—not to mention arbitrary—pact that I would consume that black beverage if accepted to my next publication. So, as it happens, I’m currently enjoying this robust concoction as I scribble out the following news. 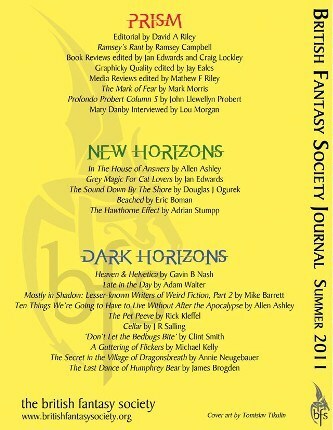 Last week, Peter Coleborn confirmed that my short story “Don’t Let the Bedbugs Bite” would be included in a forthcoming issue of Dark Horizons, an imprint of the British Fantasy Society (the President of which is the estimable Ramsey Campbell). Mr. Coleborn, editor of the magazine, wrote that the story reminded him of “Stephen King’s homey-type fiction.” A flattering compliment to say the least. There will be some formatting alterations to fit with the magazine’s style guide, along with the changes from US to UK spellings; but aside from that, it looks as if the story will appear in the summer or autumn installment of Dark Horizons. Stay tuned, friends. More to come.